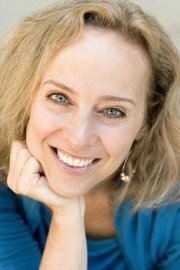 Robbie Kellman Baxter created the popular business term “Membership Economy.” She is the founder of Peninsula Strategies LLC, a strategy consulting firm. The Peninsula Strategies website is www.peninsulastrategies.com. Her clients have included large organizations like Netflix, SurveyMonkey and Yahoo!, as well as smaller venture-backed startups. Over the course of her career, Robbie has worked in or consulted to clients in more than twenty industries. Before starting Peninsula Strategies in 2001, Robbie served as a New York City Urban Fellow, a consultant at Booz Allen & Hamilton, and a Silicon Valley product marketer. As a public speaker, she has presented to thousands of people in corporations, associations, and universities. Moreover, she has been quoted in or written articles for major media outlets, including CNN, Consumer Reports, The New York Times, and the Wall Street Journal. She has an AB from Harvard College and an MBA from the Stanford Graduate School of Business. Robbie’s book, The Membership Economy: Find Your Super Users, Master the Forever Transaction, and Build Recurring Revenue, was published by McGraw-Hill (March 2015). Morris: When and why did you decide to write The Membership Economy? Baxter: I have been thinking about this topic for 11 years, since I consulted to Netflix and fell in love with their business model, both as an MBA and as a consumer. That project changed the trajectory of my consulting career, and I began to specialize in business models that featured elements like subscription, community and membership. Baxter: I had to stop writing halfway through, when I reached Chapter 6 (of 10) and realized that I had a lot more to say that didn’t fit into the structure I had sold to the publisher. I started over. Morris: What is what you characterize as “the darker side” of the Membership Economy? Morris: Of all the strategies that are used to attract new members, which seems to be the most effective? Why? Baxter: Referrals. Because happy members are best at identifying others who will get tremendous value from the organization, and also best at recruiting and retaining those members. Morris: When attempting to [begin italics] retain [end italics] members`, which strategy seems to be the most effective? Why? Baxter: Organizations should start with this question, before they recruit new ones. They should make sure that their offering meets a specific need that will last “forever” or at least a long time—like “access to great video content”. The problems arise when the organization builds a product that doesn’t really meet any one mission perfectly but instead has features that might be valuable to some people…bundling features does not equal meeting a specific need. Morris: To what extent (if any) is what I call the Field of Dreams Syndrome (i.e. “If you build it, they will comes’) relevant to the creation of a community in the Membership Economy Please explain. Baxter: No product or service or community should be built based on assumptions of what customers want—this is true of communities as well as any other type of offering. Community building is especially tricky because you need a small community before you can start recruiting new people to join it. That’s why organizations like Facebook started with small, pre-existing communities with pre-existing relationships (college students, campus by campus) before growing nationally. Morris: Of all the lessons that can be learned from non-profits, professional societies, and trade associations, which do you think are most valuable? Why? Baxter: The needs of the members don’t change, but the way organizations deliver on those needs must evolve constantly. Morris: I congratulate you on the excellence of your chapter titles. Please explain the meaning and significance of the title of Chapter 8, “Incorporate ‘Free’ as a Tactic, Not a Strategy”? Baxter: Thank you. Every organization should consider the possibilities around making something free in their business model—maybe free trial, or a freemium subscription, or free content—but too many organizations think that if they get enough people using their offering for free, they can eventually monetize that usage. Organizations need to understand how free fits into their bigger goal, which is nearly always around profitability. Morris: What is a “forever transaction”? Baxter: It’s the idea that when people join organizations, they are hoping that the organization will meet a specific need forever, or at least for as long as they have that need—staying fit, getting spiritual connection and guidance, growing professionally. A single transaction—the signup—can lead to payments forever. Morris: You suggest that “marketing loves membership.” How so? Baxter: Membership models make things easier for marketing, because of the recurring revenue model. It’s much easier to retain a customer than it is to attract them in the first place. Morris: Which of the steps in a typical sales acquisition funnel seems to be most difficult to complete? Why? Baxter: Figuring out how to retain people. Product/customer alignment is the most important step. Only you know how to do that, can you move up the funnel and work on developing the right messaging to attract them. Morris: What are the defining characteristics of an organization’s “Superusers”? Morris: How best to add and then retain Superusers? Morris: You identify and discuss seven potential revenue streams (68-73). Which tends to generate the most revenue? Why? Baxter: Generally subscription revenue, because it is recurring. Morris: What are the most common membership pricing mistakes? Baxter: Pricing too low. It’s very hard to raise prices without adding new value. Morris: What are the valuable economic lessons to be learned from Napster? Baxter: Once you’ve educated people to expect a certain type of value for free, it is very difficult to retrain them—in this case, music. The music industry is still recovering from what Napster taught consumers. Morris: What are the key technologies of the Membership Economy? Baxter: Technologies for subscription billing, for tracking and analyzing behavior, for engaging members, and for supporting community engagement. Morris: How best to increase member engagement over time? Baxter: You need to communicate constantly with your members, making them aware of ways that they can extract the most value from your organization, and recognizing them for exhibiting the behaviors that are most likely to eventually result in positive results. Morris: How can “Mom and Pop” embrace the Membership Economy? Morris: What are the most valuable lessons to be learned from small businesses and consultancies? Baxter: Thomas Jefferson, if he felt like chatting. Because he was so skilled in so many areas, and because he helped to create a whole new model of governance which has lasted 100s of years. Morris: Let’s say that a CEO has read and then (hopefully) re-read The Membership Economy and is now determined to establish or strengthen a workplace culture within which personal growth and professional development are most likely to thrive. In your opinion, where to begin? Baxter: Think of your employees as if they were members. What would your “club” look like? Morris: For more than 25 years, it has been my great pleasure as well as privilege to work closely with the owner/CEOs of hundreds of small companies, those with $20-million or less in annual sales. In your opinion, of all the material you provide in The Membership Economy, which do you think will be of greatest value to leaders in small companies? Please explain. Baxter: Section 2, which breaks down the 7 steps of the Membership Economy. I have designed it to be very actionable. Baxter: Are you kidding me? You have asked the most questions of any interviewer I have had the good fortune to meet! You have really gotten me thinking and I have thoroughly enjoyed the conversation.